How I Did Long Fer a Tatie Pasty! 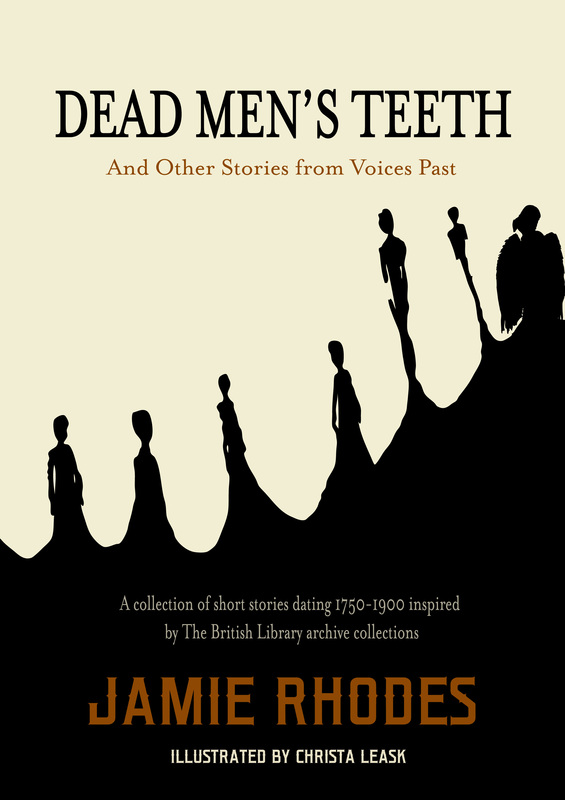 “In Dead Men’s Teeth and Other Stories Jamie Rhodes has mined and minted gold from the British Library Archives. Inspired by sources as various as a ship’s surgeon’s log, verbatim interviews, diaries or even advertisements for false teeth, Rhodes gives us glimpses into unexpected places, the forgotten corners of history, in stories told with the authentic weirdness of truth; touching, quirky and humane.” – Olivia Hetreed, BAFTA nominated screenwriter of Girl with a Pearl Earring, and Wuthering Heights (2011 film). President of the Writers’ Guild of Great Britain. A young woman thrown into the macabre world of nineteenth century dentistry; a ship’s surgeon aboard a diseased indenture vessel; a drug-addled Georgian aristocrat seeking love on the frozen Thames; a Cornish miner in the California gold rush. Just some of the weird and wonderful characters you will meet in this collection of tales inspired by the British Library archives. Buy the full collection here. CLICK HERE to buy the Dead Men's Teeth full collection of all 10 stories.